On Sunday, police responded to a report of child abuse that occurred on the 10th at 453 S Broadway Blvd. 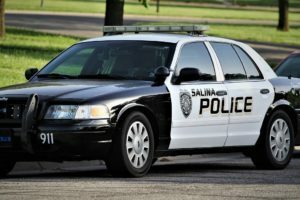 Captain Paul Forrester told The Salina Post that an eight-year-old girl came home from visitation with her Father and her sister noticed that she was not acting normal. The girl alleged that her Dad tried to kill her. He put a plastic bag over her mouth and held her down on a mattress, he pushed her into a wall, choked her, threw objects at her, and pulled out a knife. The sister contacted the police and the girl went to the hospital to get checked for injuries. She had bruising consistent with choking. According to Forrester, police arrested Terry Huehl, 56, of Salina at the 800 block of N. 10th St. He is facing possible charges of aggravated battery, battery, child abuse, aggravated endangering a child, and criminal threat.